You may be surprised to see how many of individuals lose their Jeep car keys in Phoenix. Having a car key replaced in Phoenix is truly a very simple process. Acquire the most affordable costs on Jeep car key replacement services in Phoenix by calling AZ Car Pros Today. Possibly, you already know that keys could be the weakest link in your jeep car security chain. Therefore, you should care for them the same way you care for your cash. Each and every day, around 53 people wake up to realize that their vehicles have disappeared. This mostly follows a burglary of the home to obtain the car keys. As a way of enhancing the security of your vehicle, Jeep has been adding more features on their keys and even developing better ones. 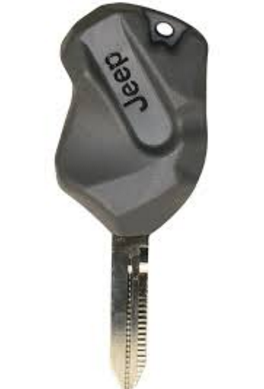 This is an important Jeep car key which is used in almost every new car model. Even though the remote control isn’t as universal as the electronic chips, it allows you to lock/unlock the doors of your vehicle and also allows you to enable/disable the alarm system while at a distance. However, to work, a remote control will need batteries and unfortunately when the batteries are flat you can only access your vehicle with the key blade if it has one. But to turn off the alarm you will need the alarm control. Fob keys are available for some of the most recent Jeep models. They do not have a mechanical blade and only have a plastic end which the driver inserts in the ignition barrel to start their car. With this system you don’t have to worry about the key at all. You only need to ensure that it is in your pocket or purse throughout the day. Whenever you get closer to your vehicle it will detect the key and will either unlock the doors automatically or you may need to touch behind the car’s door handle for the vehicle to unlock. When inside the vehicle with fob keys you will only need to push a button for your vehicle to start. After you have left the car, the doors will lock themselves automatically, but only when you have walked far enough. This type of car key is a common feature of the Jeep models. The key sends a unique code each and every time the driver uses it. This unique feature is very important mainly because the rolling codes are almost impossible to replace and therefore guarantees more car security. On the other hand, the key is very expensive to replace and the replacement cost depends on the urgency and the location. This is an electronic transponder chip that features a code. The chip is usually inserted in the plastic part of the key. The electronic chip usually made of plastic don’t need a battery to function and most drivers do not know that these keys have one mainly because the keys lack buttons or remote locking systems. In addition, most of Jeep cars that were made within the last 15 years have this chip which minimizes the risk of theft. The chip is usually programmed to work only with your car and your car on-board computer will recognize it while the unique code will start the engine. This is the main reason why no one will ever use another transponder key on your vehicle. You can use the car key blade to open the vehicle but the on-board car computer will not allow the engine to start. If you have misplaced your key, you can rely on AZ Car Keys’ services. We are mobile and will come to your place to do the replacement. Jeep shares almost the same immobilizer systems with Chrysler and Dodge and with the new technology, we can produce a new remote key or remote control to unlock your jeep car from a distance. Call AZ Car Keys For Replacement Jeep Keys Today! 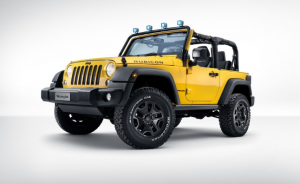 This will save you lots of cash and time as most of the genuine keys you expect on the local Jeep Dealers are very expensive. What you need to replace on your lost key is your VIN which you can find in the paperwork related to your vehicle or on the vehicle itself. The VIN is usually 17 digits long and consists of numbers and letters. Look for it on the registration papers, vehicle’s log book, and registration sticker or at the engine bay’s back firewall. The sun was out and all I wanted to do was get in my Jeep and enjoy the day. Come to find out that my keys were stolen. Had to have been because I looked EVERYWHERE. Anyways, AZ Car Keys came to my home in less than an hour and in another 15 minutes I had a brand new Jeep key in my hands. Thanks a ton!